I ran 20 instances yesterday, 17 of them had DPS pulling ahead of me and dying regularly. I managed to get a number of them removed from group but in 2 groups they removed me instead, once during the final boss fight. I simply can’t tank anymore. One less tank in your queues. I won’t do it, it’s not fun, it’s an exercise in total frustration. Good luck to those that weren’t complete morons. I feel sorry for you on the queue times but I can’t be a part of this anymore. The first responses were predictable troll responses to hurry up and pull then and so forth, the kinds of things the worst of the worst players might say. However the thread goes on for 17 pages and there are some real gems in there. None of them really addressing the point I felt needed to be made. I don’t queue as DPS (Damage Per Second. In a 25 man raid there are usually 17 of these spots, 2 tanks and 6 healers) DPS queues are astronomically long, a half-hour or more. I won’t wait to get into anything (Hearthstone has started popping up queue times and I’m going to quit that too if that keeps happening) one of the reasons I despise amusement parks and shopping centers. Don’t get me wrong, I’m not into instant gratification. I just despise the false scarcity forced on things which could be readily available if people were just more sensible. Amusement parks and shopping centers aside, most scarcity is engineered into the framework of the world outside; either by reality itself in the form of temperate zones on the surface of our planet that limits arable land, and through that, food and space to live in, or by the systems we humans create. False scarcity, human engineered scarcity, is all around us. It is present in the wasteful food systems we in the US enjoy (nearly half of all food going to waste while people starve right next door) It is reflected in the vehicles that we are sold (marketed as exclusive) the schools we attend, etc, etc, etc. Group efforts in World of Warcraft are a hallmark of this. The reason that queues for DPS are so long is because DPS is relatively easy, whereas tanking and healing have specific duties which must be performed if the battle is going to be successful. DPS’ers will argue that DPS is anything but easy, but the proof is in the structure that Blizzard has been forced to craft to cope with the relatively few people willing to heal or tank. DPS queues are long specifically because DPS is relatively easy. If it were hard, the structure would reflect that in tanking queues. Tanks do not queue, and healers rarely queue. If you tank (and I do) you will be placed in a group almost immediately upon placing your name in the list as a tank. Be prepared though. No role is kicked more often (as represented numerically in raids) than tanks are. I mercifully am almost never kicked. I rarely let DPS die no matter how stupid they act. I try to pull as soon as the group is ready, try to keep damage off of my healers, who in turn try to keep me alive. All DPS has to do is deal damage and move out of bad (if it’s on the floor, it is likely hurting your character, GET OUT OF IT!) the amazing part of this equation is how few of them can seem to do even that much. So the queue structure in World of Warcraft accurately reflects your talent as a player. If you don’t want to wait in queues, tank or heal. DPS is where slackers and bots go to hide. Don’t pull if your tank is slow, you will get nothing but grief from it. Patience is a virtue (my most typed phrase while tanking) learn to meditate, you’ll live longer. Meditating is essential when caught in systems of engineered scarcity. Peace and serenity far more rewarding than being consigned to the prison queue when you finally snap after waiting half your life to get on whatever ride that is popular this year. Enjoy your summer. I love the way the brain works. I want that out front on this post. I’m fascinated by the ways that we humans craft our thoughts and feelings, while at the same time seem to be completely unaware that most of the facts we think are immutable are actually just feelings that we have emotional investment in. Flight has always been a perk. You always have had to pay for it. While the cost of flight was quite steep when introduced in Burning Crusade, the first expansion of World of Warcraft, in Wrath of the Lich King it was available at level 68 for a nominal fee for the Tome of Cold Weather Flight. Only your first game character had to slog to get to level 77 before flying, and then it was flying for the last three levels. The game was designed to incorporate flight into the mechanics in a rough approximation of the way I thought it should be, and the way I thought the game was going to progress into the future. In Cataclysm you could fly for the entire expansion, once again for a very nominal fee (about 300 gold) and even the dead could fly from graveyards to wherever you died last, a change that was made for Wrath of the Lich King in areas set up for flight play. While I had a lot of complaints about Cataclysm, flight was one of the things I really liked about it. It wasn’t quite ideal, I couldn’t fly and fight or even ride and fight, but at least I could use the flight mechanic I had already paid so much for in Burning Crusade. Flight is just another form of travel, no different than the riding mounts allowed in later levels of the original game. Not too many players remember having to slog to level 40 on foot. These days you can obtain riding skills and mounts at level 20, with fast ground mounted speed available at level 40 instead of the endgame perk that it used to be. Imagine the complaints, if you can. What if the game developers removed the ability to ride mounts at all in the game? Riding is a perk, after all. You have to earn your mounts, all of them, with each expansion of the game. How many people would willingly keep paying for and playing that game? Not too many, in my estimation. Then came Mists of Pandaria, and it was the reverse of Cataclysm. The rest of the game was engaging, but the fact that none of my characters could fly until the repetition of endgame made the entire game into a grinding endurance slog that I repeated 22 times through some crazy goals I had set myself 5 years previously. Not to mention the hair-brained idea of gating cloud serpent flying and requiring every single character you leveled in the game to have to grind that reputation in order to use those mounts; only to have that reputation grind removed as a requirement for the current expansion. Imagine the frustration of those players who spent days working on that reputation for all their characters, only to have the work rendered pointless later. I almost didn’t purchase Warlords of Draenor because of the announcement that flight wouldn’t be included. After I thought about it for awhile I figured that they would add flight at some point, otherwise the inclusion of a flying mount in the collector’s edition becomes false advertising. Bait and switch. 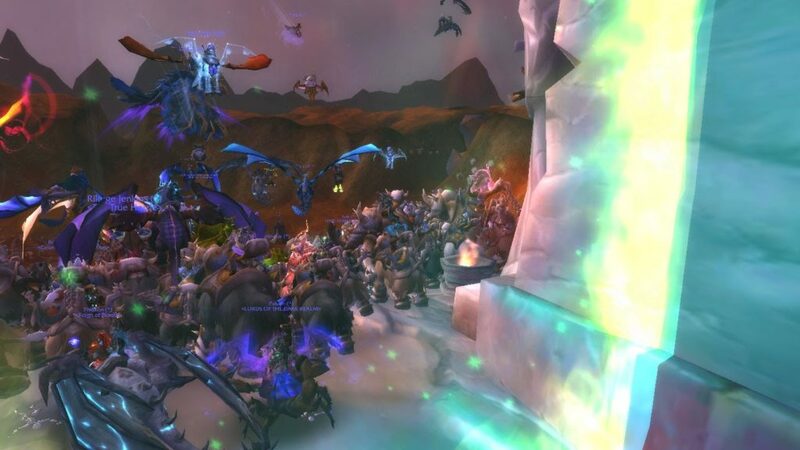 Now it is revealed that through game developers misjudging what the player base would put up with, they’re going to gate flight (if it is ever introduced at all, they still aren’t promising anything) with a long, long grind requiring you to play through all the content of Warlords of Draenor and the soon to be released patch 6.2 in order to qualify to use basic mechanics of the game that should have been included with the first release. I say should have been included with the full understanding of what that means. Flight is a travel mechanic, just like a riding mount is a travel mechanic. Before earning riding mounts in the game, you never understood what a time savings was involved in being allowed to ride. Once you have riding mounts, you’ll ride them right into buildings if allowed to, never dismounting unless the headers of the doors keep you from getting through them while mounted. In a similar fashion, a player never thought about why they had to navigate the terrain (alive or in spirit form) you just did that. Now that flight is being withheld arbitrarily from players who are used to flying, the fact that a developer stuck an impasse between where you are and where you need to be becomes a major frustration specifically because you know that they keep you from flying just to slow down progress in the game. No other reason, they just want you to spend more time working on game progress. The idea that this increases immersion in the game, or makes the game more challenging are just excuses presented to mollify complaints. They could include flight and make it more challenging. In Burning Crusade you could be knocked off your flying mount. While this was frustrating it was no more frustrating than currently being knocked off your riding mount by a frog or a flower (Which happens. Flowers can kill you in World of Warcraft) in Mists of Pandaria there was one area that allowed flight, but that flight could be canceled by crashing into an insect swarm. It is only unimpeded flight, the status of flight as an endgame perk, invisible to everything but other players, that breaks immersion; makes the game too easy. Gating flight is not giving the players what they want. It is holding the last remaining carrot out as bait to get us to continue playing (and paying for) the game. The manipulation is so transparent as to be insulting. Taking a stance that flight should be removed permanently from the game so many years after it was introduced is so foreign a concept as to make me question the honesty of people who say they don’t want to fly. What game have you been playing these past 7 years? Not the same one I have, apparently. Banned From the Forums, Again. Don’t Mention Community Policing? Blizzard (specifically Battle.net) has banned me from the forums again This is the amusing part, pay attention. I was banned from the forums for daring to link to my response to being banned from the forums previously. Apparently Blizzard still isn’t interested in complaints in spite of their insistence that they are. The fix to this problem is simple. Don’t let your bots ban people. But that leads to another problem, Blizzard can’t afford to hire enough cops to police the communities they’ve created. The hypocrisy of Blizzard banning players for botting while using bots to ban people is apparently lost on the leadership at Blizzard. Not that I bot, Blizzard. Don’t want to be banned for linking to an article that has the word bot in it. If they continue using the same stupid parser, that is liable to happen. The solution to this problem, and many other problems, is a ratings system for the player/contributor base. Let the massive player/user community police itself. This isn’t even rocket science, a ratings system has been put in place in many other large online communities, and generally meets with some level of success based on how well the tools are implemented. Whether there is oversight to come to the rescue of the scapegoated, for example. Whether the tools are allowed to have an effect on the employees of the hosting company, for another. I’ve mentioned community policing tools many times in the past. (including the last time I tried to start a thread on this subject by linking previous mentions of the subject. Don’t do that blindly. The phrase “please sir may a have another” springs immediately to mind) Mentioned it at the end of the previous expansion pack. Mentioned it during the Cataclysm expansion. Mentioned it during Wrath of the Lich King while interacting with the GM’s. I don’t think I even understood how many people were playing the game while I was still playing Burning Crusade. If I did, I’m sure I mentioned it then too. Because it is a glaring oversight on the part of online game developers, generally. The understanding that large communities require policing, and that the best police are recruited from among the players; people willing to file reports, click buttons, whatever the tools in place allow. Those are the game companies’ allies, and it is about time that the companies understood that they are shooting themselves in the foot by not allowing the communities to police themselves, and providing the tools for us to do it. Won’t actually be able to link it anyway. Can’t discuss bans in any fashion on the forums. Not even tangentially. Can’t really discuss ANYTHING on the forums and not risk being banned if the mood strikes a moderator. 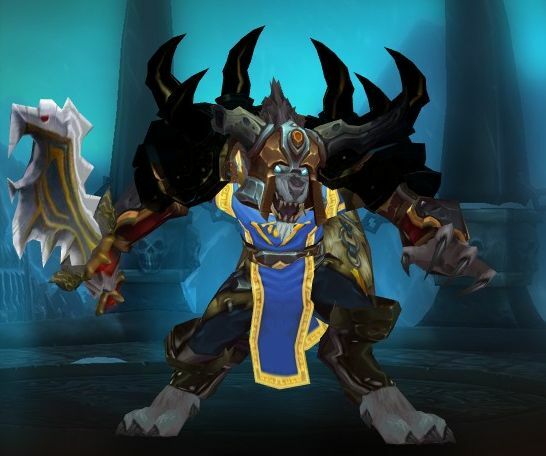 The real problem here is (not that Blizzard mods will read this) that the rules for the forums are not all in one place. The bot that banned my account sent me links to this page. It also linked this dead page for appeals (all the links for appeals are dead) The customer service interactions all refer to this page, and the forum rules are also stickied at the top of each forum. None of the content of any of the pages agrees with each other as to what is allowed or not allowed aside from the notation that they reserve the right to suspend any account without reason. Just another reason not to post on the forums. Author ranthonysteelePosted on June 13, 2015 Categories Games, HumorTags Blizzard, WorldofWarcraft, WoWLeave a comment on Banned From the Forums, Again. Don’t Mention Community Policing?